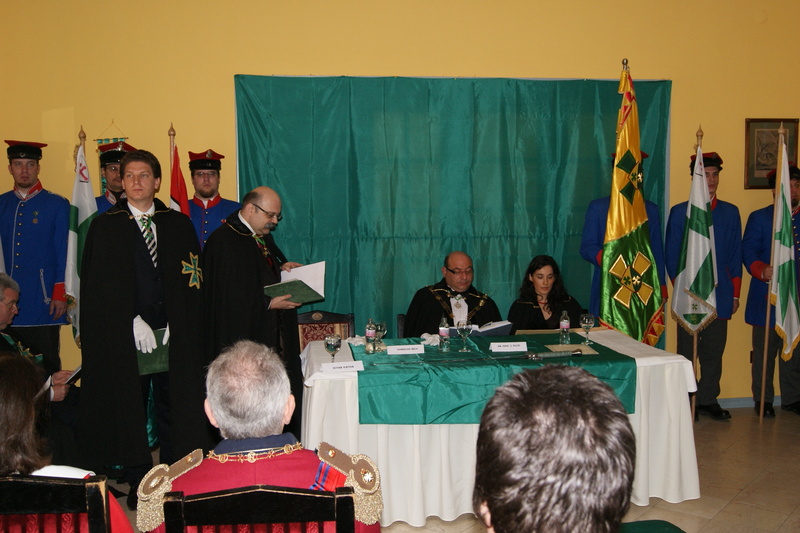 The Grand Priory of Hungary organized its third investiture within less than a year at the Castle of Fenyoharaszt, which hosted the previous investiture. This time, the lovely spring weather created a different ambience than the snow-bound landscape which was witnessed during the winter investiture in the same venue. 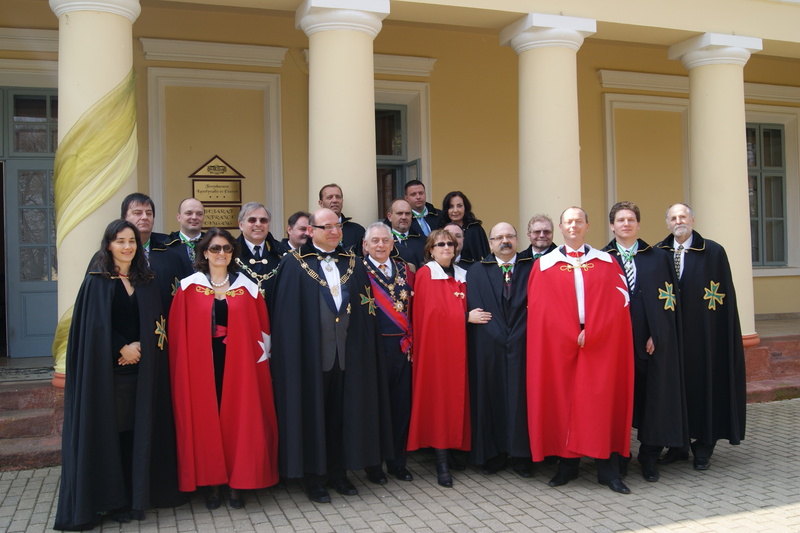 The Investiture was led by the Grand Prior of Hungary, Chevalier Bela Danielisz KLJ CMLJ, ably assisted by his Chancellor, Chevalier Zoltan Hosso KLJ CMLJ. The Supreme Grand Priory was represented by its Grand Chancellor, Chev. Massimo J Ellul GCLJ GCMLJ. As usual, the professionalism of the investiture organized by the Hungarian Lazarites was highly commended during the event by all present. Delegations from the Grand Priory of Austria, the Union Corps San Lazare International, and guest delegations led by the Highest Officers of the Order of Saint John of Jerusalem and the Order of Hungary were also present for the investiture. Confrere Robert Bodor was exalted to the job of Marshal of the Grand Priory and a number of postulants were admitted into the Grand Priory, including Confreres Pavol Tehlar, Jozef Kollar, Peter Lednar, and Consoeur Eva Granska. Confrere Jan Culka was also admitted into the Order of Saint Lazarus of Jerusalem with the rank of Commander of the Order. The Grand Chancellor officially decreed that Confrere Jan Culka be appointed as the head of the delegation of the Order to Slovakia. Dr. Otto Hoffman was also promoted to the grade of Commander of the Order during this investiture and was heartily congratulated by the assembly. After the ceremony of the promotion, the Grand Prior of Hungary proposed that Jan Culka and Viktor Schvab be given the accolade of the Order of Merit of the Companionate of Merit of the Order for their services to the Grand Priory. Both confreres were visibly moved by this gesture and vowed to continue their work on behalf of the Order. After this ceremony, confreres Robert Lajos and Robert Bodor were also given the Hungarian Award of Merit of the Grand Priory for their zealousness within the Order. 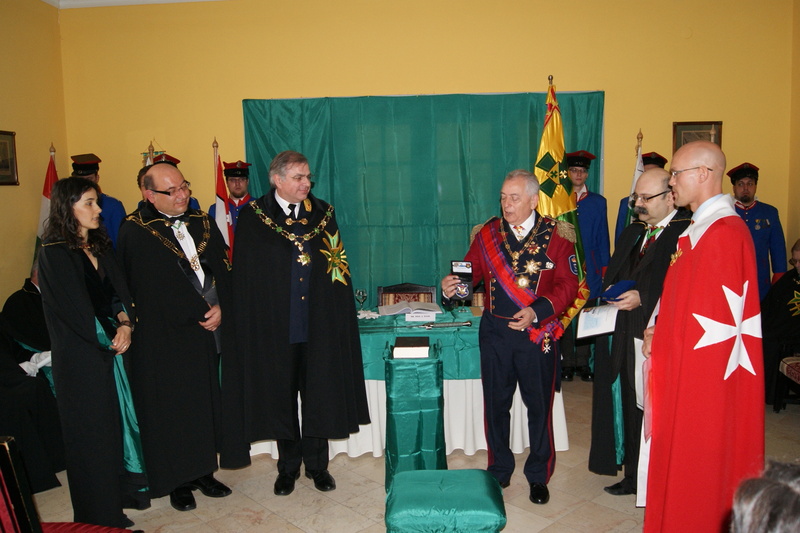 A number of Lazarite members of the Grand Priory of Hungary were also given certificates and insignia of merit by the Commander of the Union Corps San Lazare International, Senator Wolfgang Steinhardt. The investiture also included a majestic performance of solemn and classical music which greatly enhanced the aura of solemnity for such an occasion. As is the custom in Hungary, after the investiture, a sumptuous Investiture Luncheon was also prepared for the members and their guests. It was indeed yet another triumphant investiture for our Hungarian Lazarites. Again, congratulations to all the formidable team.